This week we have a review of The Decorator Who Knew Too Much by Diane Vallere along with an interesting guest post by Diane. Details at the end of this post on how to enter to win a copy of The Decorator Who Knew Too Much. We also have a link to order it from Amazon, and from an indie bookstore where a portion goes to help support KRL. A surprise trip to Palm Springs was to be the first romantic vacation for Mad for Mod decorator Madison Night and her new boyfriend, Hudson James. It was also planned as a paid working gig for Mad and the contractor, as Hudson’s brother-in-law was constructing a strip mall revolving around a modernized, mid-century theme. It should be perfect for the 50s and 60s loving Madison, especially as it would also give her a brief escape from Texas, where she had become far too intimate with Death. Her first meeting with Emma and Jimmy McKenna does not go as Mad had imagined, as just before they arrive she and Hudson are run off of the road and their car overturned by a speeding SUV. Scared but relatively unharmed, Mad’s dreams of spending her days at thrift shops and flea markets are further dashed when she spots a body underneath the Whitewater River pier. When the corpse disappears before help can be found, the authorities write it off as a stress reaction due to Mad’s recent experiences. Ironically enough, any assumptions that she is delusional are proven wrong when a body is found, and it turns out to be the psychologist everyone keeps recommending. Mad’s introduction to her boyfriend’s family is going about as bad as it could go, as she becomes the repository of secrets and granted unwanted insight into Hudson’s sister’s marriage and possible involvement in murder. What this series does so perfectly is balance the moments of light-hearted humor with the realistic repercussions of violence and crime. Few other “cozy” mysteries tackle the probable aftereffects that would occur to characters who repeatedly stumble upon murderers. Understandably suffering from Post-Traumatic Stress Disorder, Mad has come to rely on her Shih Tzu Rocky for comfort and support. While Rocky, named after Rock Hudson, is crucial to her mental health, Mad unknowingly receives far more official aid in the form of Tex Allen, the newly promoted Lakewood Police Captain. He has fallen for the Doris Day-loving decorator, and though he steps aside, Tex remains in the background doing what he can to ensure that Mad stays safe. The fourth in this compelling series only grows stronger as it brings to life an effervescent heroine battered by her experiences but refusing to give in to them. Mad’s idol Doris Day inspires not just her fashion sense but her outlook on life, persevering through charm, a positive attitude, and refusal to play the victim. Of course, a perfectly matched fitted skirt and capelet never hurts. You know those vacations we take to relax? The ones that are supposed to help us clear our brains and experience the luxury of not having to do anything? The getaways intended to establish quality time with our family and/or loved ones in front of us and not the people in our heads? To recap: five minutes after arriving in the town of my quality-time-with-the-boyfriend vacation, I had an imaginary dead body and whole batch of questions. Questions were good. Questions, I could deal with later when I wrote the book and figured out the story. I didn’t know which of my series this story would fit. At the time, I didn’t even know if there would be a fourth Madison Night book because I wasn’t sure I would find the right idea to propel her story forward. But while I questioned how I could logically get any of my characters to Big Bear Lake, I immediately knew Madison was the one character who I could get out of her usual setting. And while Big Bear Lake would be an odd destination for her (she normally operates out of Texas), Palm Springs would not. So I moved the entire concept there, and that was the basis for “The Decorator Who Knew Too Much.” I bought a notebook and scribbled down the bones of the idea. It was over a year before I wrote it. Maybe getting out of town is more therapeutic than I thought! 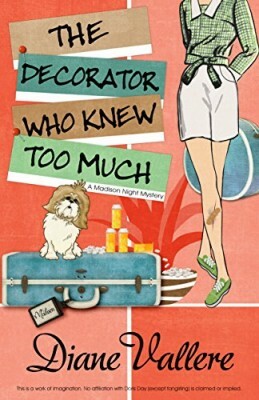 To enter to win a copy of The Decorator Who Knew Too Much, simply email KRL at krlcontests@gmail[dot]com by replacing the [dot] with a period, and with the subject line “decorator,” or comment on this article. A winner will be chosen May 6, 2017. US residents only. If entering via email please include your mailing address, and if via comment please include your email address. After two decades working for a top luxury retailer, Diane Vallere traded fashion accessories for accessories to murder. The Decorator Who Knew Too Much, fourth in her Madison Night Mystery Series, is out April 2017. Diane is the president of Sisters in Crime. 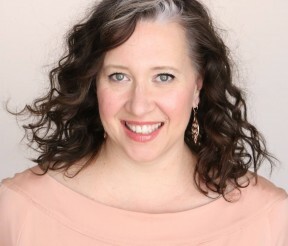 She also writes the Samantha Kidd, and Lefty Award-nominated Costume Shop, and Material Witness mystery series. She started her own detective agency at age ten and has maintained a passion for shoes, clues, and clothes ever since. This book is now added to my TBR list. Ms Vallere writes very good stories. Always fun. I haven’t read any books by Diane Vallere. Thanks for the introduction! I’d really like to read this new book by Diane. Thankyou for the opportunity! I love how the author can go on vacation and find great ideas for a murder. Love your (Diane’s) books!! Thanks for the giveaway! I look forward to reading this book! Thanks for the chance to win it! Great series, would enjoy reading “The Decorator Who Knew Too Much”. Sounds very good. Thank you for a chance to win a copy. If you need another idea just tell the boyfriend you need another vacation. You could have Madison win a trip to say Paris or maybe Hawaii. A lot can happen in those places. Since you need the vacation for your work think TAX DEDUCTION!!! Interesting. Added to my TBR. I love this author’s books. Thanks for the giveaway.